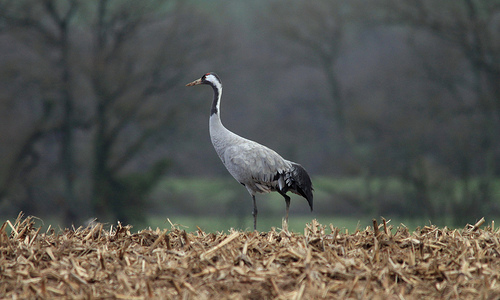 The Crane was for several years a rare breeding species in western Europe. It can be seen in large groups, on their way to southern areas. In flight it is a large bird that keeps both legs and neck extended and has large broad wings. That gives the Crane an impressive appearance. 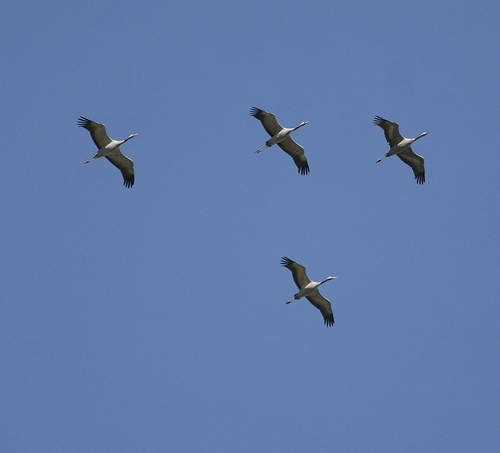 The Crane has a black neck and flies with the neck fully extended. The Blue Heron folds back its neck when flying.